This entry was posted in autobiography, Journies, People, Travel and tagged disappointment, friends, history, Nostalgia, postcards, Romsey, Salisbury, Southampton, Winchester. Bookmark the permalink. 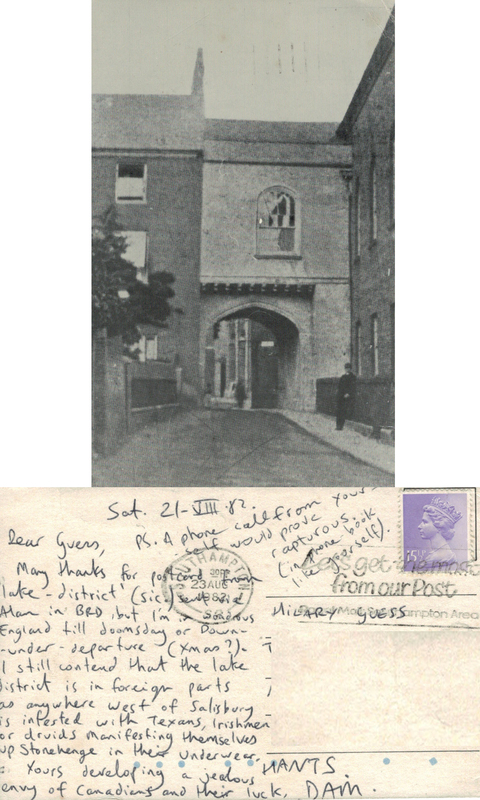 Although the postmark is Southampton, it looks more like Winchester. The postcard is obviously older than 1982 – they could have picked it up in a 2nd hand book shop or Oxfam from anywhere in the area. I doubt that the sender has even seen the area depicted.